Do u like Che ??? favoriete movie about Che ? Have u seen the film Che? de keuze van de fan: Nope. But I want to. would u like che to be our president!!! who do u think killed che guevara and why? 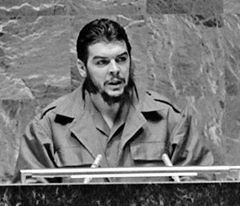 October 8, 1967, 'Che' Ernesto Guevara was executed... of so the world believed. Inspired door a true sequence of events, ’Lallapaloosa’ tells in flashback the story leading up to the betrayal and 'capture' of the worlds most famous revolutionary and master of disguise. a comment was made to the poll: Do u like Che ?? ?